My friend told me that this is a remake of an old movie. I have not seen the original movie so I can’t actually compare them. From all the reviews I have read so far, they all seems to agree that the original was way better. I guess I just need to rent the DVD and find out. Gemma Arterton, who has a soothing voice, narrates the movie. I am looking forward for her in Prince of Persia. 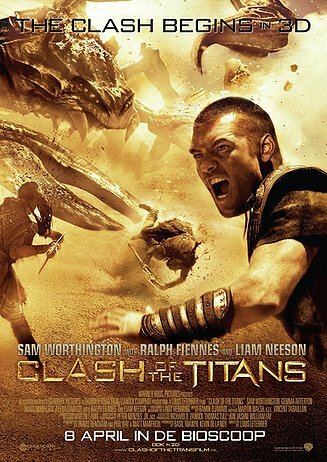 I still have Sam Worthington as Avatar image in my mind and his performance didn’t stand out either. However, Ralph Fiennes is good (or bad) being Hades. I saw the movie in 2D, 3D might be a bit too much for me. I wasn’t expecting any laughs in an action-filled movie but I did. The CGI sometimes did get blurry and wasn’t that high quality. Overall, it met my expectations.